Thanks to a grant from the Midhill Wind Farm Fund , Auchenblae Drama Group has now completed the installation of cinema facilities in the Auchenblae Hall. This was started in 2013 with a grant from Kincardine Mearns Area Partnership; Nexen; and funds raised by the group’s performances, for the installation of the hall sound system. The Hall can now boast a 5 meter wide motorised screen, HD projection system, and 7.1 surround sound, resulting in an amazing real cinema experience . 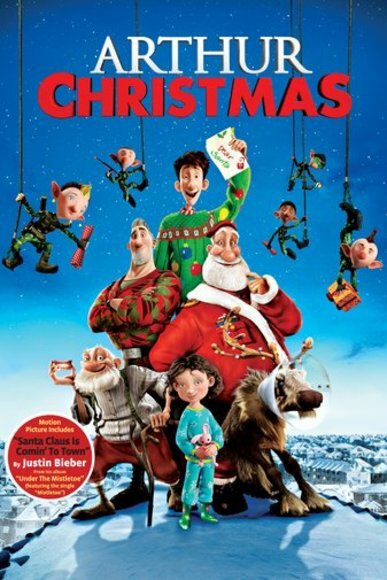 The cinema will have its first outing on Saturday the 21st of November at 3.00pm (doors 2.30pm) and we will be showing Arthur Christmas by Aardman productions, makers of Wallace and Gromit. The cinema facilities mean that the Auchenblae drama group will now be running a Cinema Club Committee on the second Wednesday of the month at 7.30pm in the hall meeting room to organise film programmes, projection training, special film events, etc. If you wish to get involved in the Cinema Club, and decide on the films shown and help to show them, please feel free to come along.